NetCart develops web, mobile, and desktop applications. NetCart was founded in 2006 and focuses on solutions uses the latest techniques. 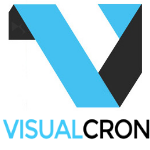 Main product is VisualCron which is an automation tool for Windows.